London, 1913. Eleven-year-old Christine Sedgwick believes that a girl's place is at home, sewing, drawing and putting up with beastly big brothers. Mary Forrest believes that a girl's place is wherever she wants it to be. When Christine and Mary cross paths outside the suffragette headquarters in Kingsway, they instantly become friends and begin writing to each other. 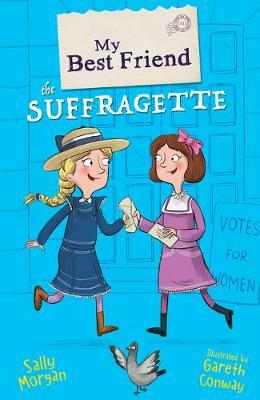 Through their letters, the girls make sense of the mayhem around them, from suffragettes smashing windows, to the arrest of Emmeline Pankhurst, the introduction of the Cat and Mouse Act to the fateful Epsom Derby. As the events of the year unfold Christine's opinions begins to change... But when Christine's cousin Jane sneaks out the house one night and burns down the booth in Regents Park, the girls realise the real cost of being a suffragette. How can Christine and Mary stop Jane from getting into trouble? And why are women going to such lengths to have their voices heard?